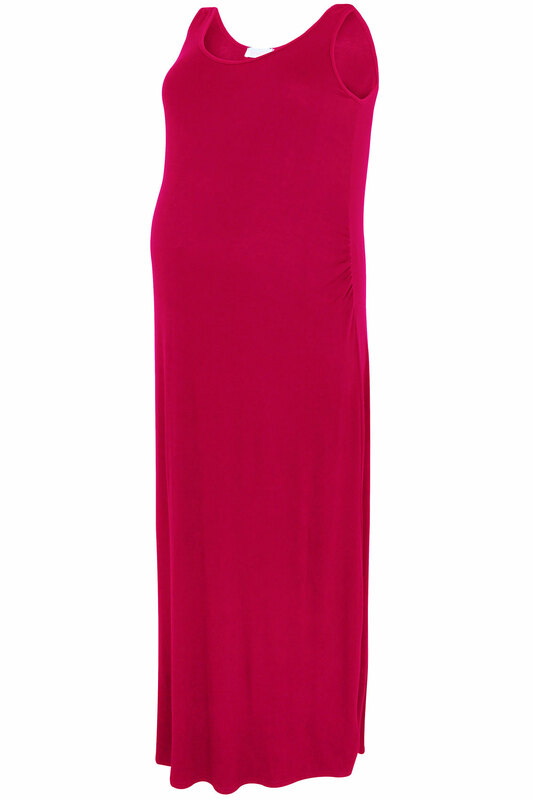 BUMP IT UP MATERNITY Plus size magenta sleeveless maxi dress. Made from a soft jersey fabric with a scoop neck, self-fabric binding to the neck and arm holes and a centre seam to the back. 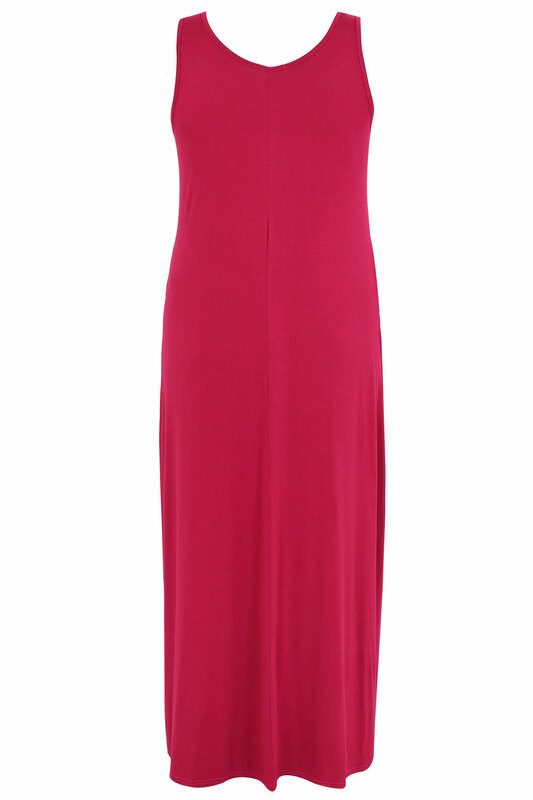 Has ruched panels to the side for a comfortable and flattering fit. Wear with a long line cardigan and pumps for a cute look. A must have for your maternity wardrobe.